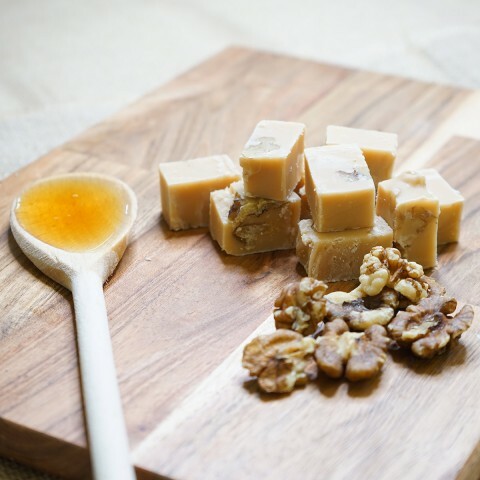 Brazil Nut Fudge - This fudge is made using natural whole Brazil nuts. 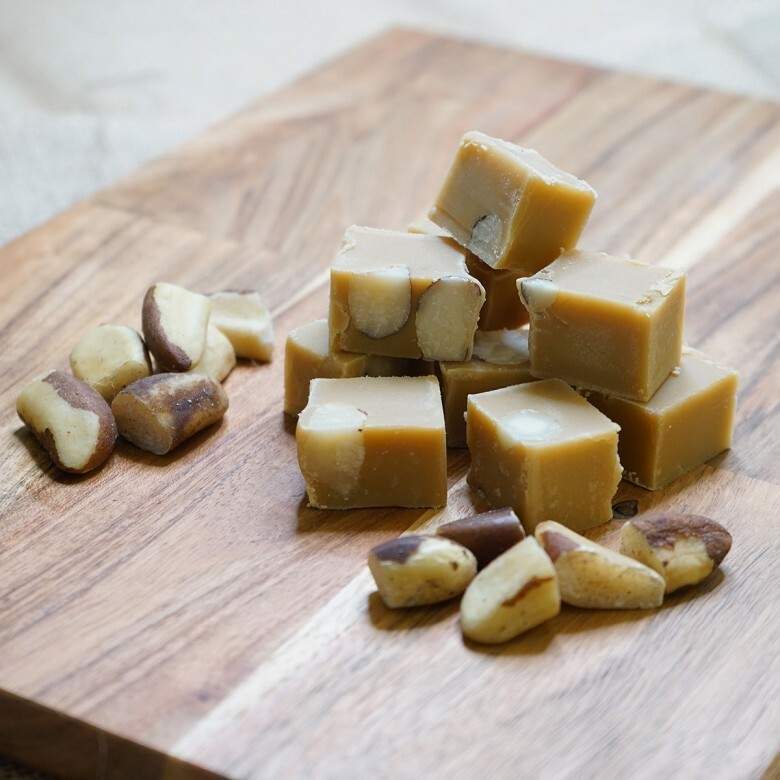 Our soft smooth creamy traditional fudge encases the crisp natural nutty taste of these wild hand picked Brazil Nuts. Fused together the flavours come alive with this unique soft and hard textured fudge. 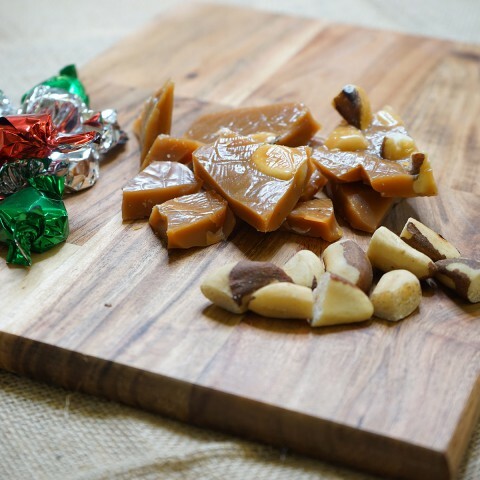 Brazil Nut Fudge is available in two sizes; a 150 gram bag or a 450 gram box.